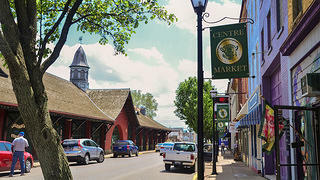 Centre Market sits at the heart of Wheeling, West Virginia's historic district. 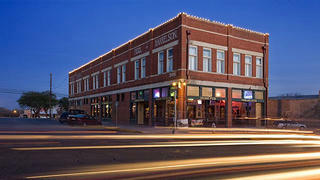 One of its two market structures was built in 1853, making it the oldest cast iron market house in the country. As a subsidiary of the National Trust, the National Main Street Center works to bring preservation-focused development to more than 1,600 participating Main Street America neighborhoods and communities from New York to Nebraska. And every year since 1995, the Center has honored those communities that best demonstrate its strategies for revitalization and commitment to preservation. The Great American Main Street Awards (GAMSA) are the Center’s most prestigious awards, and this year’s 10 semifinalists, announced on August 22, have all distinguished themselves by creating jobs, inspiring new partnerships across sectors, and building sustainable, inclusive neighborhoods. The winners will be revealed at the Center’s Main Street Now Conference in Seattle this upcoming March. You’ve already seen Wheeling, West Virginia, pictured above. Take a look at our slideshow below to learn about the nine other marvelous Main Street communities selected as GAMSA semifinalists. 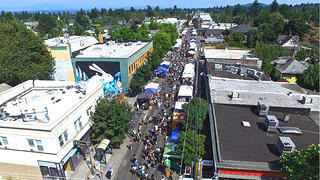 Alberta Street in Portland, Oregon, dates back to the 1880s, but faced increasing levels of crime in the late-20th century. The 1993 rehabilitation of a foreclosed structure into a coffee house catalyzed a broad revitalization movement, the success of which is sustained today in part by organizations such as Alberta Main Street. 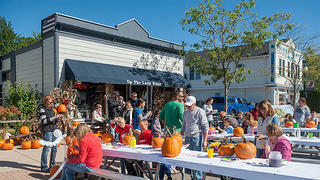 A harvest festival in Boyne City, Michigan. The nonprofit Boyne City Main Street, among many other responsibilities, maintains a set of Design Guidelines, which outline for property owners how to preserve their buildings' historic integrity. 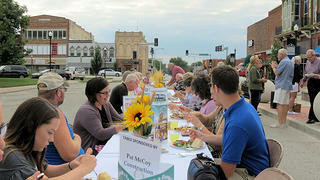 The annual Farm-to-Table Awards Banquet in Chillicothe, Missouri, organized by Main Street Chillicothe.The proceeds from the banquet are put towards the development of an arts district scheduled for completion in 2019. 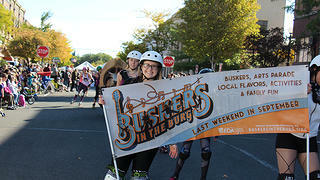 The annual "Buskers in the Burg" event in Ellensburg, Washington, fills the streets of downtown Ellensburg with music, in addition to magic performances, glowing puppets, and many other activities for all ages. 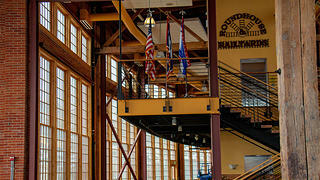 The Roundhouse in Evanston, Wyoming, was completed in 1914. It was utilized by the Union Pacific Railroad and other companies before falling vacant in 1998. The town put together a Master Plan for its restoration in 2004, and work continues today on one of the town's most beloved historic structures. 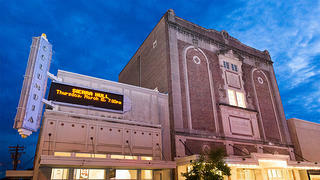 After decades of neglect, Columbia Theatre of Performing Arts (called the "jewel in the crown" of downtown Hammond, Louisiana) was restored and reopened in 2002. Its first film was shown in 1928, only for the Great Depression to hit several months later. 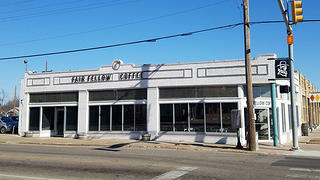 Fair Fellow Coffee Co. is one of 39 new businesses that have opened in Tulsa, Oklahoma, thanks to the efforts of nonprofit Kendall Whittier Main Street. The organization estimates that the occupancy rate of Whittier Square has increased from 35 percent to 97 percent since 2010. Sean Patrick's Pub in San Marcos, Texas, has evolved considerably in its 130 years of existence, but remains a vital part of the city's downtown life. 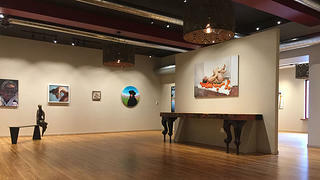 The Wausau Museum of Contemporary Art in Wausau, Wisconsin, sits at the location of one of the town's key gathering spots for local movers and shakers. The former Wausau Club sat vacant for 13 years before a renovation by Tom and Connie Schuette.